Be inspired to embrace your femininity and love your curves, in styles that don’t cost the earth, in any sense. ...Siren Clothing exudes the spirit of pure femininity. Vintage style frocks in pure cotton and stretch cotton prints. A seductive collection of beautiful, vintage-inspired styles, expertly cut in the finest quality fabrics and all designed with care in Australia. Creating a world of timeless glamour, Siren Clothing exudes the spirit of pure femininity.  In an age when fashion is mass-produced and marketed, Siren offers an oasis of difference, with a seductive collection of beautiful, vintage-inspired styles, expertly cut in the finest quality fabrics and all designed with care in Australia. The latest vintage style frocks in stretch cotton prints, figure-hugging wiggle dresses, beautiful stretch-knit tees and much more to delight your vintage style.